Create connections during AHEPPP Louisville by serving as a conference volunteer! Welcome new members, re-connect with past colleagues, and network with other conference attendees, speakers, and sponsors, while giving back to the association and contributing to the success of the AHEPPP 2018 National Conference. Volunteers are needed to serve on the Program Review Committee, Awards Selection Committee and assist with conference Registration, Hospitality, Educational Sessions and Social Media. Below you will find a general description of duties for each volunteer category. Volunteers are needed to review program proposals for the conference’s Educational Sessions. This is a key committee, as you will have input into the content and direction of the conference sessions. Program proposal review will take place throughout the summer. If you can’t wait to get started thinking about the conference this year and want to make a significant impact, this is a great place to start volunteering! Help recognize the outstanding work of our colleagues by serving on the Awards Selection Committee. AHEPPP presents several awards to recognize creative institutional initiatives, print and electronic publications, contribution to research/literature, and contribution to the profession. As an Awards Selection Committee member, your feedback will help determine this year’s recipients. There will be a few conference calls held throughout the summer, but most of the commitment will be throughout the months of October/November. Click here to volunteer on the Awards Selection Committee! 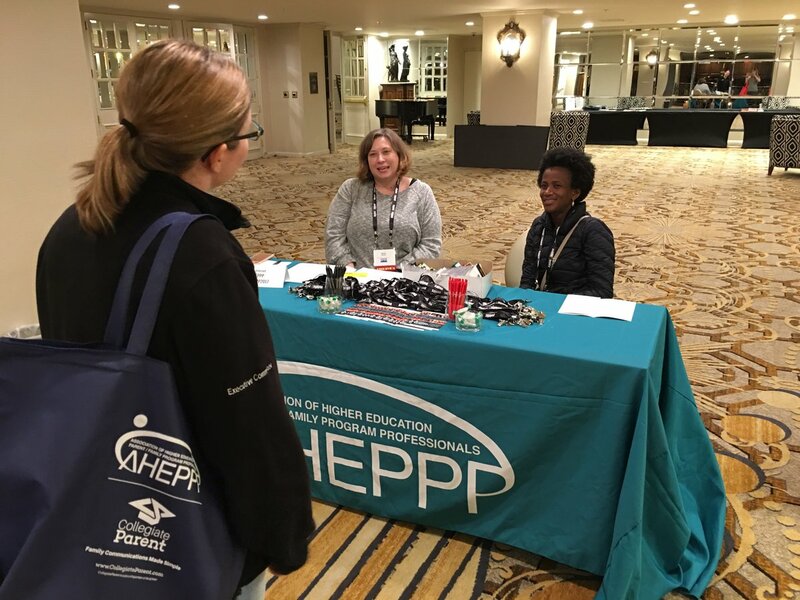 Welcome conference attendees to Louisville, Kentucky, and the AHEPPP National Conference as a Conference Registration volunteer! Conference Registration volunteers assist with check-in, distribute materials, and answer questions while providing excellent customer service to conference attendees. Click here to volunteer with Conference Registration! As a Hospitality volunteer, you’ll greet conference attendees and provide them with information about city hot spots, conference side trips, and restaurant recommendations. No need to be a Louisville native or expert; all the information will be provided to you! Click here to volunteer on the Hospitality team! Educational Session volunteers serve primarily as session moderators, assisting with the set-up of meeting rooms, directing session attendees, introducing session presenters, distributing handouts and session materials, and encouraging attendees to complete session evaluations. You’re going to be attending Educational Sessions as a conference attendee, why not further contribute to the success of the conference by serving as an Educational Session volunteer? Click here to volunteer as an Educational Session host! Help us spread the word about all the great happenings at AHEPPP 2018! If you’re an avid Tweeter, this committee is for you. All you need to do is just share your experiences in Louisville out to let everyone know all the great stuff happening. Click here to volunteer with Social Media! Contact Kristi Okerlund, [email protected] or Jennifer Wetli, [email protected] Volunteers and Recognition Co-Chairs, with any additional questions.